When companies buy ad time on a TV show, the price they pay depends on how many people watch the show. That supposedly tells them how many “ad exposures” they’re getting. In reality, of course, when the commercials come on, a lot of us just change the channel. Or hit the fast-forward button. Or pull out our phone. Or … anything. In the past there was no way to observe that choice, so marketers had no reason to dwell on it. But digital technology is changing that. On the web, of course, firms can not only target ads to individuals — based on things like your search and browsing history — they can also potentially see how much of a video ad you watched or how fast you scrolled past their banner. Now, those same capabilities are coming to your living room. Today, TVs are often hooked up to the internet, letting you watch “what you want, when you want,” as service providers like to say. But there’s a catch: Your watching can also be watched. And when you click away in the middle of a Verizon commercial, the system can take note. For the big brands that advertise on TV, that kind of information is certain to change the game. But how exactly can, or should, companies incorporate data on household ad viewing into their marketing strategies? That’s the question posed by Nair, along with fellow Stanford GSB professor Pedro Gardete and Anna Tuchman of Northwestern University’s Kellogg School of Management, in a recent paper in Quantitative Marketing and Economics. It turns out that ad viewing and product purchases are related in complex ways. But by using some new data, the researchers were able to model alternative strategies. Bottom line: Zeroing in on consumers who are less likely to skip an ad is more profitable than the old blanket approach. And for consumers? While it may feel creepy to know your late-night clicks on the remote are being logged, the study finds that viewers may also benefit when such targeting shifts ads to those who value them more. Or hate them less. The key, the researchers realized, was to understand that ad viewing is to some extent a choice. Maybe not always — you can’t close your eyes to avoid billboards on the highway — but certainly in electronic media, and increasingly so with the advent of ad-blocking technologies. To bend the old saw: You can expose a horse to advertising, but you can’t make it watch. The researchers had the idea, then, of treating advertising as a good, like any other, from which consumers derive some benefit — or utility, as economists say — and for which they have an implicit “demand.” Sure, some commercials have negative utility, but after seeing those once, you can skip them cost-free. Any that you do watch, then, must offer something you like. Instead, they thought, advertising — good advertising, anyway — might be a “complementary” good, meaning that watching an ad boosts your enjoyment of the product, and vice versa. “It’s an association. The memory of the ad enhances the experience of having a Pepsi,” Nair says. And then maybe the fact that you’re a Pepsi drinker gives you some pleasure and validation when you watch the ad: Hey, these are my people! This theory was suggested by economists Gary Becker and Kevin Murphy years ago, Gardete says, but there was no way to test it. Until now: The researchers used a new data set that tracked household purchases in a major product category and each household’s actual viewing of TV ads in that category — down to the fraction of each ad seen before viewers clicked away. The data covers more than 100,000 purchases and about 1.4 million total ad exposures over the course of a year and a half. When the researchers crunched the numbers, they found that, as expected, people were more likely to buy a brand after watching an ad for it. But it also went the other way: They were more likely to watch an ad if they’d recently purchased the brand. “That’s a less intuitive result,” Gardete says, and it supports the idea that ads and products are indeed complements: Consume more of one and you then want more of the other. For marketers, this is a powerful insight. On one hand, it offers an interpretation for the kind of ad-viewing data they’ll soon have access to: People who skip a brand’s commercials are less inclined to buy that brand anyway, so why pay for exposures to those households? And it means that past purchases can help predict ad-viewing behavior. Of course, it’s only part of the story. “Whether you watch an ad also depends on personality traits that can’t be observed,” Nair says. Maybe you just like to watch Matthew McConaughey sit in a parked car. “But this is one bit of information that can be leveraged,” he says. Does it work? To find out, the researchers used their data to construct a model, then simulated a variety of ad strategies in a world where such ad-skipping data is available to companies. In each case, they found, targeting households on the basis of their ad choices increased profits. “The reason it works,” Nair explains, “is that by serving ads to people with a low propensity to skip, you’re indirectly targeting people with a high propensity to buy” — which means more bang for your advertising buck. Ad viewing, in effect, is a rough proxy for product demand. That world is not far off. 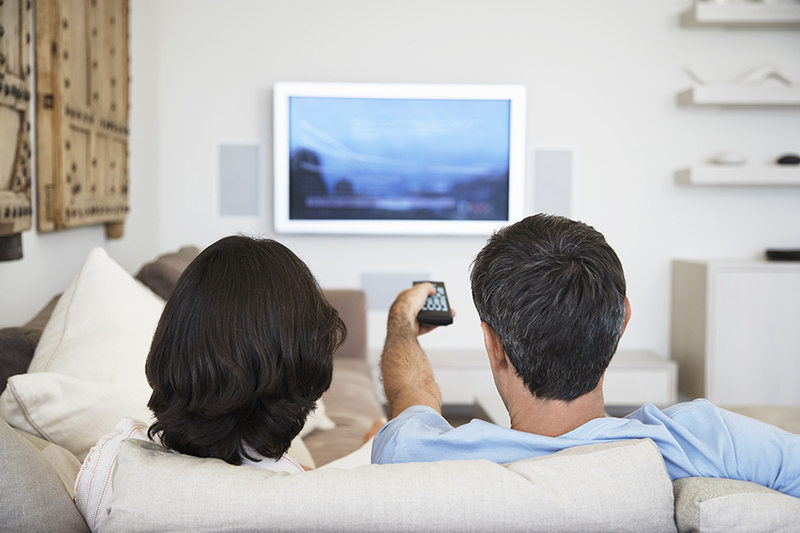 Most TV ad buys are still targeted on shows, using broad audience demographics. But as televisions become “addressable” devices — with unique IP addresses like computers — TV advertising is bound to become more like online advertising, where different ads can be shown to different viewers and viewer engagement can be automatically tracked. Already, firms such as Nielsen Catalina Solutions are merging records from shopper loyalty cards with household data on TV viewing. And one can imagine the sale of ad spots moving toward a system like the TrueView ads on YouTube, where viewers are free to click ahead after 5 seconds and advertisers pay only for those who don’t click away. Discussions of advertising have always focused on the advertiser’s choices — the supply side, so to speak — because that’s what we could observe. But airing a TV ad accomplishes nothing if the audience doesn’t watch; as in any exchange, there has to be a demand. The onus is on companies, then, to create ads that people are willing to see over and over. By bringing that demand side into focus, ad-skipping data may well encourage the creation of better and more entertaining, or at least less annoying, ads. “We live in a world where there’s a lot of advertising in our face, and we all complain about it,” Nair says. “But maybe it’s not as bad as we make it out to be. By acknowledging that viewers have agency, our approach offers a more positive view of advertising.